Getting shot six times from point-blank range usually marks the tragic end to life. But not for Earl Smith. In more than one way, his life began in that moment when he was closest to death. 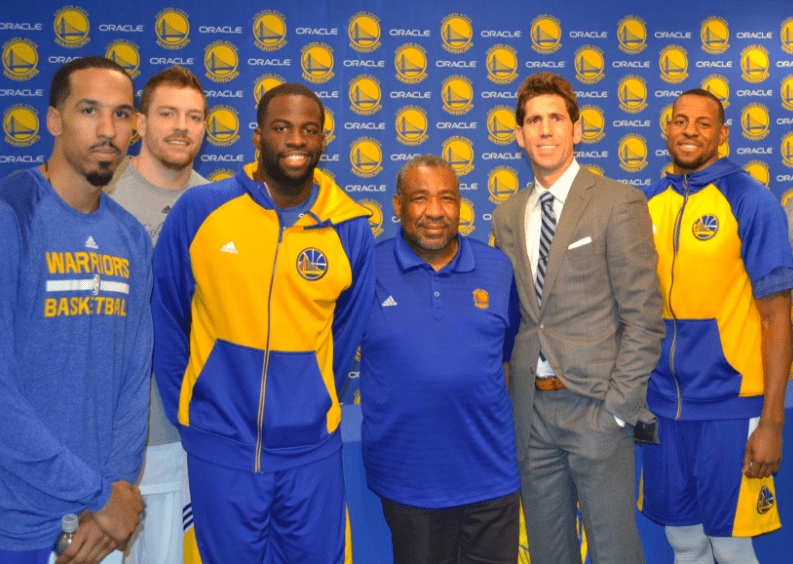 These days, many NFL and NBA players know Smith as a team chaplain for both the San Francisco 49ers and Golden State Warriors. He’s grown close to a number of the biggest stars in the two biggest sports in the country. Just like any fan, he stands in awe at their athletic abilities. However, he’s often just as much in awe at the faith of guys like Steph Curry. Smith cares for these young men as they tackle life’s challenges, showing them that Jesus alone provides lasting happiness and salvation, even while many of these players have all the world could offer: talent, fame and money. Yet for 23 years, Smith served those who had nothing at all as a chaplain in San Quentin State Prison in California. It had been God’s calling on Smith’s life since the day those six bullets ripped through his flesh. Smith’s life began in Stockton, Calif., not too far away from where he now lives. He had expressed an interest in sports from an early age as he fell in love with the game of baseball. His father was his baseball coach, his best friend, his hero. Dad did all he could to teach his son life’s most important lessons as he shielded young Earl from the rugged world around them. By the end of Smith’s teenage years in 1975, however, the outside world had crept in. The rules of the streets governed Smith’s life. He had thrown himself into the world of gangs and drugs. That year, a man owed Smith some drug money and wasn’t returning it. Being a man of the streets, Smith alerted the whole neighborhood that he would get his retribution, violent or not, if he ever saw the man again. Then in October, Smith returned from a golf outing to watch the World Series when he received a knock on his door. It was the man who owed him, and he had brought along a stranger. Smith let them in. Two sets of police officers came and went before an ambulance arrived. At the hospital, Smith was told he would die. His father went away to pray and the surgeon stepped out. “They left me on the gurney by myself and I hear this voice saying, ‘You’re not going to die. I have something for you to do. You’re going to be a chaplain at San Quentin prison,’” Smith said. Although to this day a bullet remains lodged just above his heart, Smith made a speedy recovery with the help of his father. He tried to return to his old street-wise ways, as he still wanted revenge on his assailant. But deep down, Smith just wasn’t the same. Life had value now. One night, a still-confused Smith decided to go find and kill the man who shot him, when a friend dropped by. He happened to be a minister. Unaware of Smith’s plans, his friend refused to leave. Instead of attempting a murder that night, Smith found himself in the first row of a church as his friend preached. The message touched him deeply. The Lord had taken a hold of him, and finally he returned Christ’s embrace. Finally, he released himself from the pressure of trying to be someone he wasn’t. Finally, he accepted the calling on his life that God gave him while he lay dying on that hospital gurney. When Smith was a boy, he and his friends would sometimes gather around the radio and listen to the inmates on death row at San Quentin be put to death. “San Quentin was always that place that you didn’t want to go, and yet here I was,” Smith said. The year was 1983 and Smith had followed God’s calling to the doorstep of San Quentin. He interviewed for the open chaplain position at the prison — an interview interrupted twice by reports of inmate deaths. Through numerous setbacks and seeming strokes of luck, God had His hand on it all. Smith was offered the position and became the youngest person ever hired as a protestant chaplain by the California Department of Corrections. He was only 27. Smith knew to the depths of his soul that he was meant to be there. It was like being in the neighborhood of his youth. “There was not a doubt in my mind that that voice that [spoke] to me in ’75 when I got shot had made it possible in ’83 to be where I was,” Smith said. Reverend Earl, as he was known around death row, got to work in his ministry immediately. He coached the inmate football team and he started the inmate baseball team. Once, he even played chess with the notorious Charles Manson. Smith often reached inmates through competition, teaching them to see their successes rather than their failures. Smith had a chapel, but the vast majority of his ministry happened in the cell block where the prisoners were. He built strong relationships with a number of the men on death row, which grew from a population of 91 to 650 throughout his time there. Smith was tasked with what seemed impossible: to bring hope to a place of utter hopelessness. But what is impossible with man is possible with God. Smith saw a lot of the darkness of the world at San Quentin. He witnessed violence and executions and immense loss, which he details in-depth in the podcast and in his 2014 book, “Death Row Chaplain,” which he wrote as a promise to his late father. But he also saw in the prison the power of God at work, as previously hardened criminals opened up to him and eventually professed faith in Christ. He saw peace established between rival gangs and forgiveness granted in unspeakable circumstances. But little did Smith know that the same extraordinary forgiveness would be required of himself. 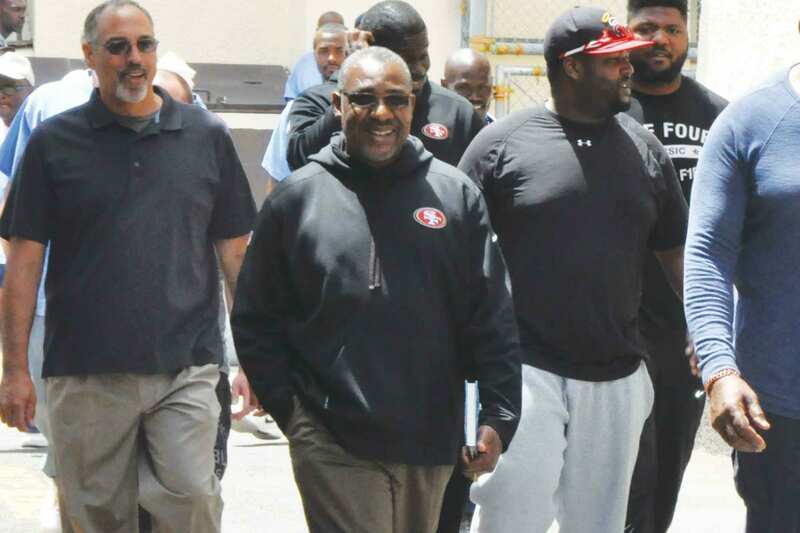 It was just like any other day in San Quentin as Smith strolled past the cells of inmates he now could call friends. But as he walked past one set of cells, he noticed someone new. He looked closer and locked eyes with the man — the man who had shot him years before. But the roles had been completely reversed since that day in October 1975. Smith now had all the power and this man feared for his life. Smith had the opportunity for revenge or for relief. Then he remembered the mercy Christ had shown him. Smith looked his offender in the eye and extended forgiveness.